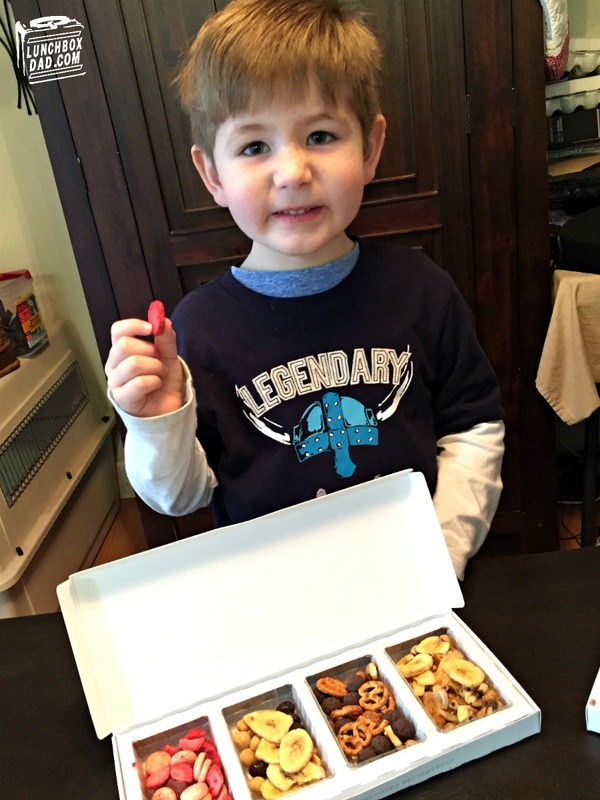 Lunchbox Dad: Nibblr Snack Box Giveaway! You know how you have those moments where you have that feeling like you must eat a snack, but you don't want to devour those run-of-the-mill cookies or candy? You just want something different. For me, sometimes I need a boost at work because my eyes are glazing over and i have the energy level of a sloth on Nyquil. It also happens when the ravenous animals, I mean my kids, need a quick bite while at the park. After all, it's already been 15 minutes since the last time they ate. I might have found something that can help. I came across this cool snack service called Nibblr. You know I like introducing my readers to products that can help parents out. This is one of those products. 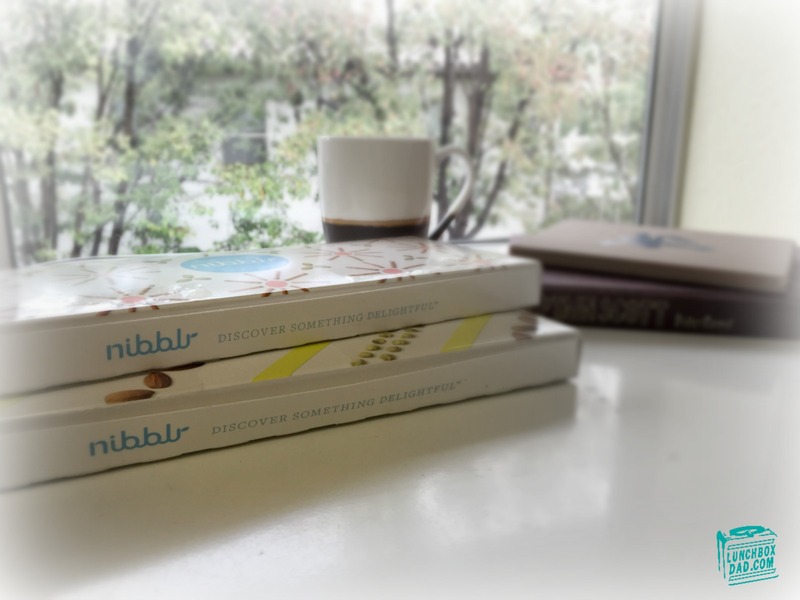 Nibblr is a subscription service that sends you a box of snacks weekly, every other week, or monthly. The nice thing is that they are only $6.99 a box but if you pay for more at once, you get a discount. Shipping is free. You can rate the snacks you get and Nibblr adjusts what's shipped to you next, based on your ratings. If you have food allergies, they take that into account as well. Nibblr offered to send me a few boxes to try out and I immediately tested them on my family. One feature that I loved was that each box comes with four individually packaged snacks. This is great if you only want to quickly grab one and go. My kids' favorite was Gorilla-A-Go-Go but I liked the Sweet Chili Pistachios. It was refreshing to have a snack that wasn't your typical boring food that you can find in every big box store. Besides being able to try it with my family, I get to pass on the fun to you readers. This isn't a full review, an ad, or a sponsored post. This is just me saying that my family enjoyed these snacks, and now thanks to Nibblr, yours can too. 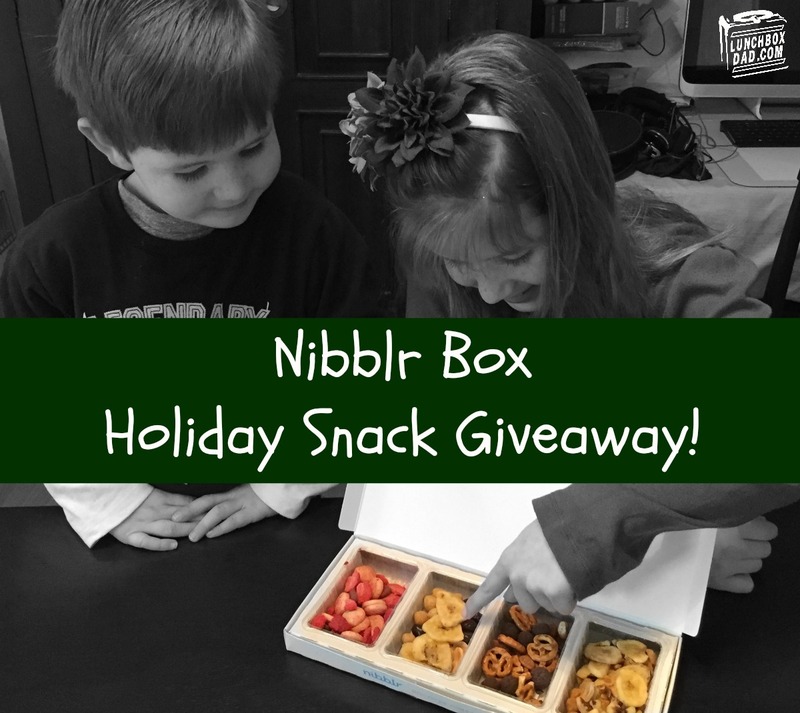 One of you lucky people can win a shipment of four Nibblr snack boxes sent to your house. Enter now using the Rafflecopter widget below. You just might be able to discover your family's new favorite snack! The Full Monterey or one of the other cheese snacks. OOH, Berry's Hat Trick looks so good! PS: Shared your giveaway here. http://suchfuntogive.blogspot.com/2014/12/easy-wins.html Anytime you have a giveaway ending soon with less than 100 entries you're welcome to come share it and I'll add it to my low entry giveaway list. Apple of my pie looks good! Oh yum! They all look like fun to try! I think bananas foster would be my favorite. The "give me s'more" looks amazing! !